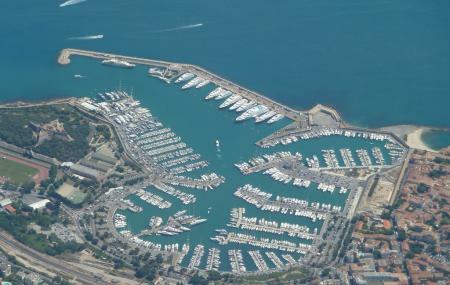 Located in the Antibes region on French Riviera is this little French Yachting harbour of Port Vauban. The place has an interesting history to it. It was originally a natural harbour and quite a popular one among Roman. Owing to its popularity, the place was later fortified by many prominent individuals including Sebastien Le Prestre, and Seigneur de Vauban. Surpassing its rich history, the place now is an active marina with hundreds of Yachts mooring every day. It is also deemed to be the largest in the Mediterranean sea and home to Yacht Club d' Antibes. Talk about some of the most lavish yachts in the world and Port Vauban Antibes is sure to come into the scene many times. The place had also been a regular host of Octopus which is Microsoft Co-founder Paul Allen’s favorite. Come to get some deep insights into the world of marines and brush up your knowledge here. Hours might differ on Tuesdays. A nice walk in the entirely renovated old Antibes, also convenient after a few days at sea or when your yacht needs standard maintenance. It's also where you can rent excellent boats for a day or a half day at reasonable prices. Antibes is favourite destination. I prefer it to Canne and the port is a must if you like big boats! Very very impressive yachts in the "quai des milliardaires" !! It is worth a visite, just to see how the other side lives and spends their money 😂😂 Easy to find a parking for your car and perfectly situated to visit the beautiful city Antibes! Wonderful place you have to visit if you are in the area! Lots of restaurants and little shops in old, tiny streets! :) have fun!